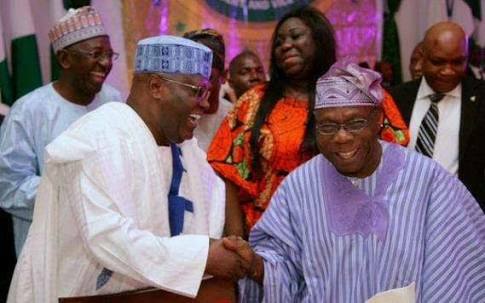 It has been revealed that the Coalition for Nigeria (CN), a third-force political group being championed by former President Olusegun Obasanjo, appears to be a major platform that has continued to attract prominent and other members of the National Assembly. Aggrieved members of the ruling All Progressives Congress (APC) and the opposition Peoples Democratic Party (PDP) in both the Senate and House of Reps are said to be considering Obasanjo’s platform to achieve their political goals in the 2019 general elections. One of the aggrieved lawmakers, who spoke to The Punch on condition of anonymity for fear of persecution, said it was becoming clear that many of them would be denied electoral tickets by their parties and the option was to consider Obasanjo’s offer. Obasanjo had, in his ‘special press statement’ on Tuesday titled, ‘The Way Out: A clarion call for Coalition for Nigeria Movement’, dismissed the chances of the two main political parties in the country from salvaging Nigeria. He also called and pledge his support for the formation of a ‘third force’ to be known as Coalition for Nigeria. Obasanjo had said, “We need a Coalition for Nigeria. Such a movement at this juncture needs not be a political party but one to which all well-meaning Nigerians can belong. “That movement must be a coalition for democracy, good governance, social and economic well-being and progress. Efforts to get a former Governor of Osun State, Prince Olagunsooye Oyinlola, who is reported to be one of the arrowheads and the spokesman for the coalition, did not succeed. Oyinlola, a close ally of Obasanjo, did not return repeated calls to his telephone. He had yet to reply a text message sent to his mobile to confirm his involvement in the coalition as of the time of filing this report. But Senator Adesoji Akanbi (APC, Oyo South) said he would remain in the ruling party until it was clear that the CN was a better alternative. According to him, the coalition has yet to produce a well-defined agenda. He stated, “The coalition is immature. Baba has raised it, thinking that both the APC and the PDP have no ideological base again. But I am a party person and APC runs in my blood. Another member of the APC caucus, who also spoke on condition of anonymity, however, said he agreed that Buhari’s performance had failed to meet Nigerians’ expectation but argued that no party or group had so far offered a better alternative. The lawmaker added, “Sincerely, Nigeria is a difficult country to govern and my fear, as of today, is that apart from the personality of Buhari and what he stands for, does Buhari have the strength to govern Nigeria for five years more? “I believe in Buhari because I know that the man is honest but he is old. And Nigeria is a country that has very weak institutions. It was also gathered that politicians across political divides in the country had launched an intensive search for a capable replacement for Buhari, findings indicated on Saturday. Strategists were now ‘targeting’ persons they believed were “neutral” and free from any affinity to the ruling APC and the PDP to assume the leadership of the country. “Neutrality is important because both the APC and the PDP have been tried, but the much anticipated change has also failed to come,” a ranking parliamentary official told Punch in Abuja. “The APC and Buhari, from all indications, have failed to offer anything better than the PDP. The source said to achieve the plan, Nigerians, with enough financial clout, were being contacted to raise funds to prop up an eventual candidate for the 2019 presidential race.